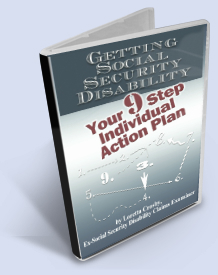 After you file your application with the local Social Security office (the Field Office), where it will be determined whether or not you potentially qualify to receive Social Security Disability and/or Supplemental Security Disability benefits, you case is then forwarded to another office. This other office is in an agency that contracts with the Social Security Administration to provide disability determinations for their agency. So when your claim reaches the Disability Determination Service office (or the Disability Adjudication Services’ office in some states), the first thing the disability claims examiner will do is read over the disability application that you completed (that’s the 3368 form if you are an adult). The examiner will note whether you are alleging a physical disability only or a physical and mental disability. If you list only physical conditions (impairments) on that form, and there is no indication elsewhere in the application that you have ever had any mental health treatment, then the examiner begins to “develop” your claim as a “physical impairments only” claim. What that means is that the development of your claim will focus only on physical impairments and getting medical information to substantiate your functional limitations as a result of these physical impairments. Sometimes in your application, there will be mention of things that clue the disability examiner into the fact that you may have been treated for a mental impairment in the past. Clues such as a medical source you list that clearly only assesses or treats patients who have mental problems, such as a county Mental Health Center that you may have attended. Or there may be a hospitalization listed at a facility that the examiner knows to be a psychiatric care facility. Or there may be drugs you list that are used for the treatment of psychological impairment, such as Prozac, sleep medications and the like. Other clues the examiner looks for on your disability application when you list only physical impairments are such things as whether or not you were in special education classes when you attended school. While being in special education classes would not necessarily denote that you had any mental problems of the traditional kind, it might mean that you could be a little slow in your mental ability to grasp changes in the work environment or be unable to adjust readily to “other work” if you can no longer do your current job because of your physical impairments. These clues found on your initial application will lead the examiner to develop your case for both physical and mental impairments, even when you only allege a physical problem. Developing your claim for both types of impairments, when done up front, will save time in the long run because of the way some claims examiners review and process your claim. Though some examiners read your medical records when each piece is received, others will wait until all your medical records come in before reading them. It is the latter group that you will be able to assist greatly if you report all psychological treatments or psychological drugs that you are on early in the application process. Examiners who wait until all your medical records are in before reviewing them will start to read your records, and somewhere in them there will be a note written by your treating physician to indicate that you have been prescribed Prozac for your anxiety or some form of amitriptylene for your depression. Now the examiner knows that she must follow up on this”hidden” mental health (MH) allegation. And because mental health allegations require different types of subjective evidence of proof, she must now delay the decision on your claim and gather what information they can on your mental health problems. She must at this point determine if the condition is severe. So the examiner then calls you or sends you and “Activity of Daily Living” form in the mail for completion, and she may send the same type form to a third party, someone who knows you and knows about your daily activities and functioning. And, if it is determined that your mental health condition is “more than non-severe”, the examiner may also send a Mental Health Questionnaire to your counselor or treating psychologist/psychiatrist to determine the full extent of this impairment. If it is determined that you have a severe MH problem from the information gathered on these forms, the examiner may have to send you to a psychological consultative examination (CE) if there is not enough information in your file to gauge how this condition really affects your ability to work. Of course all these forms will take time to be sent out, completed and returned and this will add at least another 30 to 45 days to the processing time of your claim, possibly more. List any mental health treatment you have received in the last 15 years. In mental health cases, examiners need all the records they can obtain to help make the determination as to whether your MH condition is severe or not. By far, the biggest clue that there may be a "hidden” mental health impairment is found in the list of drugs you are taking. So be sure to list all drugs and dosage amount, if known. Listing the dosage amount helps tremendously because your examiner can generally determine whether that dosage amount is one “that everyone in America is taking” or whether it is a large dose that is needed to control a serious mental health problem. And if the examiner can not make this determination, the staff psychologist (Medical Consultant) will be able to make the assessment when it gets to him/her for review. So it does not matter if you know that your mental health problem is being controlled with the drugs and medications you are taking. It is important to list any encounters you have had with mental health professionals in your application so that your claim can be developed for all your conditions, physical and mental--upfront. It is a legal requirement of Social Security Disability law that a claimant be assessed for all impairments which affect the ability to engage in substantial gainful activity (i.e. work). And this legal requirement is taken very seriously by the DDS offices. If the examiner finds out about your psych drugs at the time when he/she is reviewing all your records, he or she will have to begin developing your claim for a mental impairment at that time. This extra time could be eliminated if you report this information on your initial application because then your claim can be concurrently developed for both your physical and your mental impairments at the same time. So if you are looking to get a faster decision, you should list all mental impairments that you have had in the last 15 years on your initial application. Doing this upfront can decrease your claim processing time in the end. If you failed to list your psych drugs or mental health treatment on your initial application, you can always send in or call in the additional information to your claims examiner. Before you send the information in, you may wish to call the local field office if you do not know who is handling your claim at the DDS office. If you know who your claims examiner is, call him/her directly with the information and follow up with a paper copy.